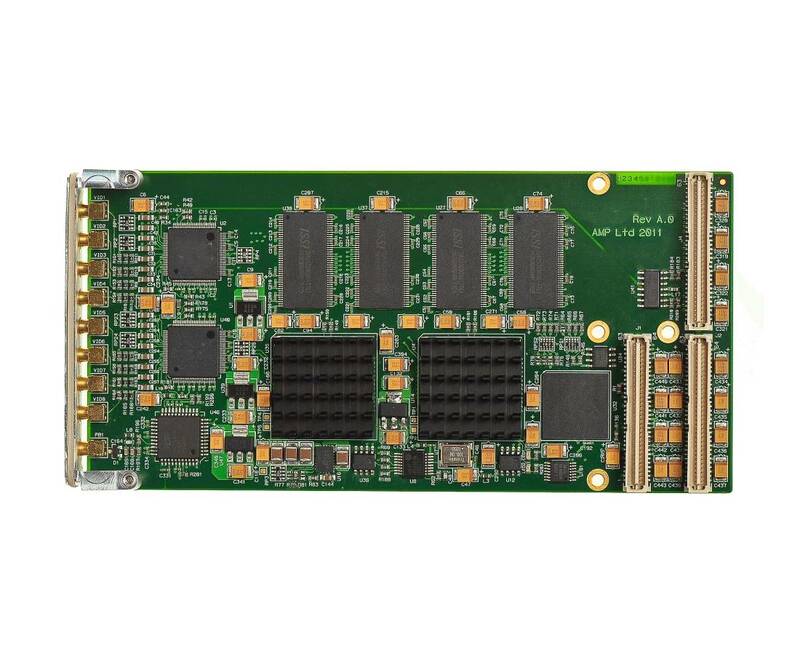 The H264-PMC8 Encoder board is an eight channel H.264 codec on a PMC Mezzanine format card. The H.264-PMC8 provides a powerful and flexible solution for capturing and compressing up to 8 analog video inputs at full size and at full frame rate to the H.264 / MPEG-4 AVC (Part 10) compression standard. The H264-PMC8 not only provides H.264 compression but can also simultaneously decompress and replay recordings from storage to display. The H264-PMC8 allows high quality real -time video and audio capture and compression from NTSC/PAL video sources to disk and simultaneously provides an additional path for uncompressed video for on-screen preview or optional downstream video analytics. 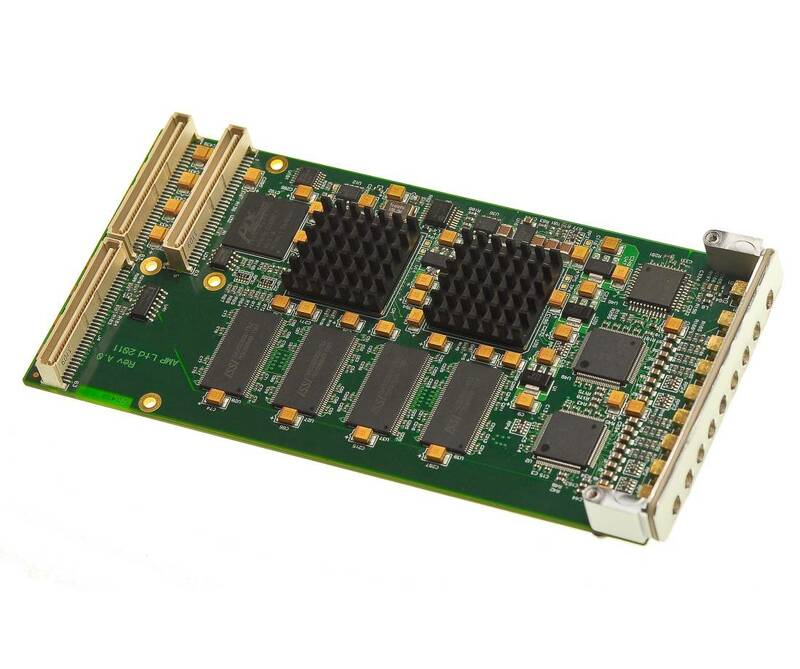 The high performance H.264 video data compression and efficient bus utilization allow multiple H264-PMC8 cards to be fitted in a compactPCI or VMEbus systems for multi -channel video recording and streaming applications. Fast text overlay on recording for Time/Date stamp etc. The H264-PMC8 is supported by comprehensive and well supported software development kits (SDKs) for video recording and video streaming. The SDKs are designed to significantly reduce development time in Windows and Linux environments and include support libraries, drivers and example applications to help developers fully utilize the H264-PMC8 features in complex video compression / overlay applications. The standard Video Recording SDK and sample applications are supplied free of charge with each board and includes the services of our technical support team. The Video Streaming SDK is available for a one-time fee and enables real time streaming of compressed video data over an IP network.